La Vall d'Uixó is a municipality located in the south-east of the province of Castellón in the Plana Baja region. Its geographical location close to the Mediterranean sea means that you can enjoy its mild weather conditions all year long. 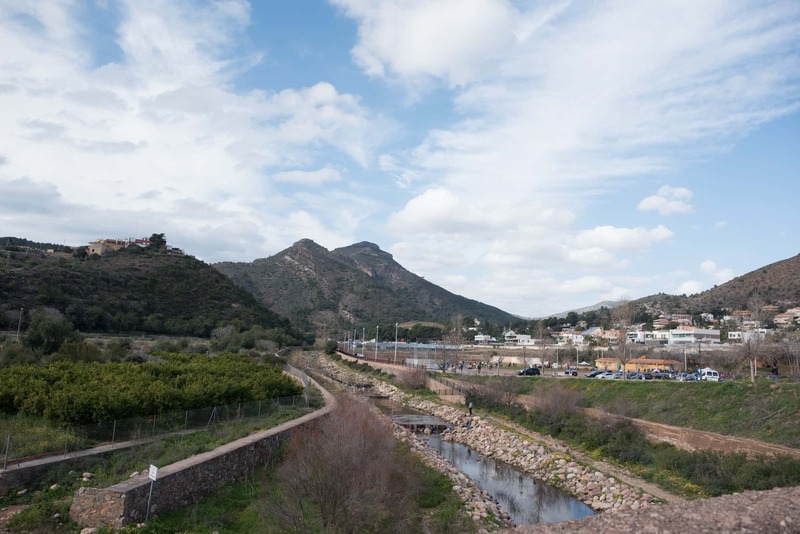 It is found half way between the port of Castellón and the port of Valencia, at the foot of the Espadán mountain range. Ever since the pre-historic period, this territory has been occupied due to its excellent geographic location. A testament to which are the Cuevas de San Josep caves, one of the oldest remains which prove that it was inhabited in the Palaeolithic Age and is a World Heritage Site. The entrance still has the cave paintings which show how important this place was. It is a unique, natural attraction which is not to be missed the largest navigable underground river in Europe. During the Neolithic period and Bronze Age, the valley was inhabited and walled villages with surveillance towers were built. The expansion that occurred during the Iberian Age is visible at Punta de Orleyl, a large extension which is home to the remains of a city which belonged to different time periods. After the Arabic reconquest, a dozen towns settled on both sides of the River Belcarie, all of which having their political organisation in the d’Uixó Castle, as such it became an important city in the kingdom of Valencia. After Jaime I's reconquest and the expulsion of the Moors, the city was repopulated by Christians from the towns around Maestrazgo in the province of Castellón. From the 18th century onwards, La Vall d'Uixó has been a backdrop to different wars, after which it experienced great growth. The municipality has a rich religious heritage with numerous chapels and churches. We recommend that you visit the Nuestra Señora de la Asunción church which was built in 1602 in a neoclassic style. The temple is a work from the 17th century and the bell tower stands out for its baroque style. The chapels, located around the municipality are: "San Vicente Ferrer", "la Sagrada Familia", "San Antonio" and "Nuestra Señora del Rosario". The San José and Alcudia aqueducts are other must-sees as they back date to Roman times. The union of the two aqueducts forms a hydraulic driving system which was used until the 20th century. You cannot go to La Vall d’Uixó without trying their rice dishes, their specialities are "arroz empedrado" a rice dish with cod and "arroz al horno" which is oven baked. It most typical pastries are called "manjóvenes" and have Arabic origins. If you want to try these and other typical dishes we recommend Restaurante el Guano (Avenida Jaume I, 9). Locals often go to Bocaburguer (Av. Suroeste 45), which offers food in a very family friendly environment. If you plan on a clam, relaxing stay, you could stay at the Balneario de Villavieja health resort (Plaza la villa 5, La vilavella), just over 5 km from La Vall d’Uixó If you are looking for something more affordable and basic, you could stay in the town itself at Hotel Belcaire (Avenida Europa s/n). Cuevas de San Josep: over 15,000 year old caves which pass by the River San José. This is the largest navigable underground river in Europe and it is a World Heritage Site. - La Punta de Orleyl: a large area which is home to the remains of a city which belonged to different time periods. - Nuestra Señora de la Asunción church located in the square with the same name. It has a neoclassic style, although the bell tower is older with a baroque style. - Chapels: San Vicente Ferrer, la Sagrada Familia, San Antonio and la Nuestra Señora del Rosario. - Roman aqueduct of Sant Josep and Alcudia: a hydraulic driving system which has remained intact ever since it was built in Roman times. 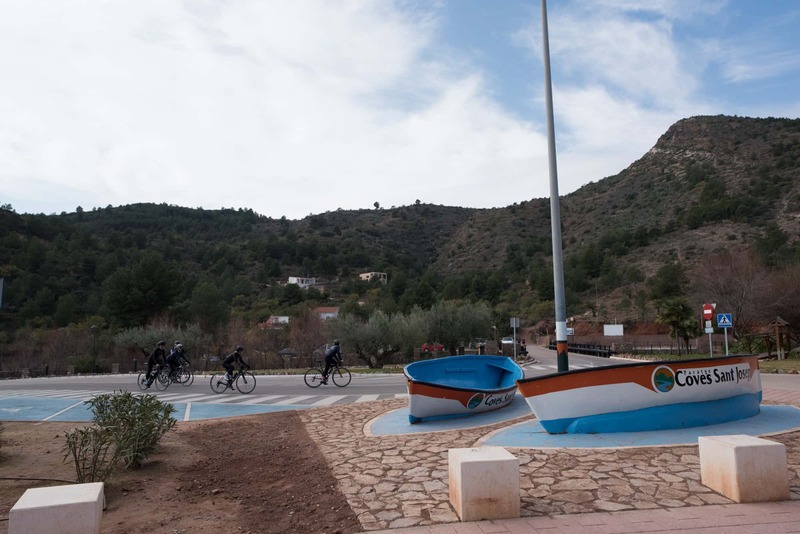 This is one of the hardest routes within the province of Castellón. A leg-breaking circuit which demands the best of your efforts. 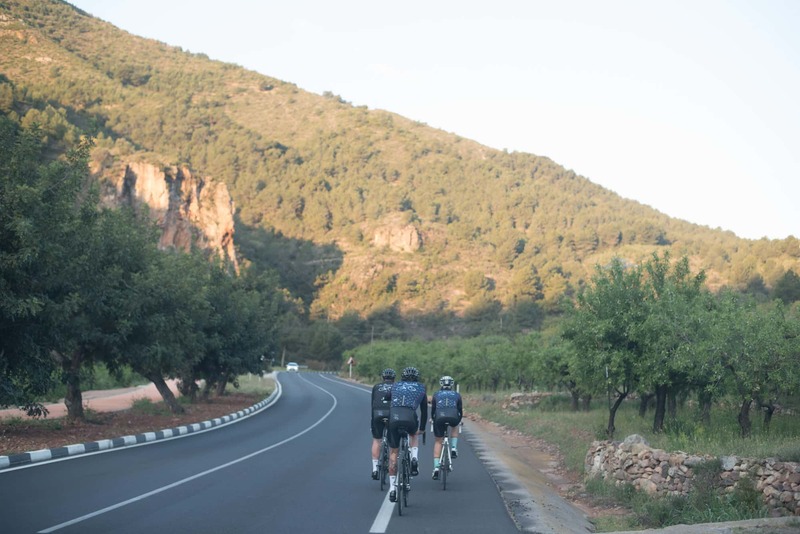 You will cycle from the south to the north of the Espadán mountain range, with a total incline of 3,000m. 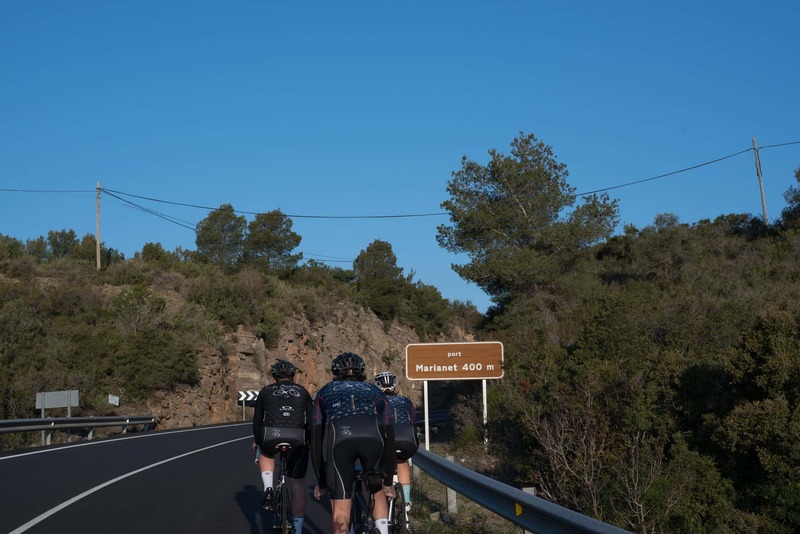 Leave La Vall d’Uixó on the CV 230 heading towards Alfondeguilla, climbing up the Puerto del Marianet mountain pass which should not present you with many difficulties. 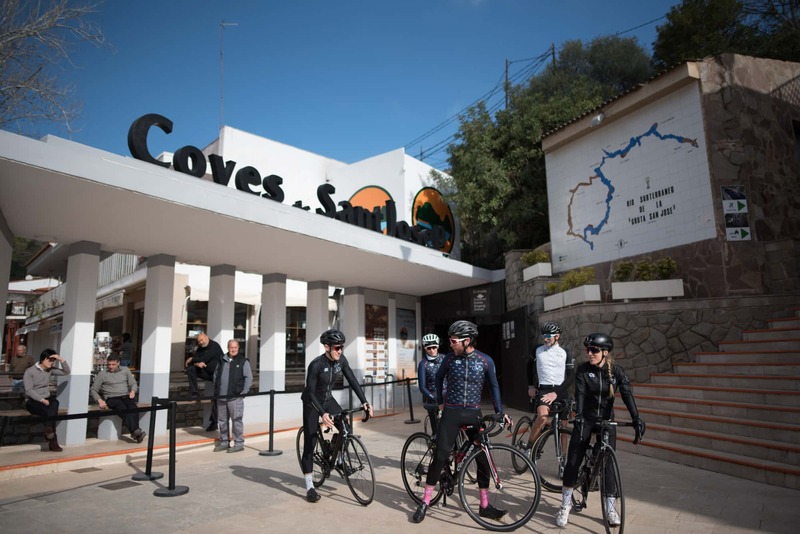 Once you have gone past Chóvar, the second mountain pass, Eslida, begins, this is a third category climb and will prove to be more of a challenge than the first because of its altitude. 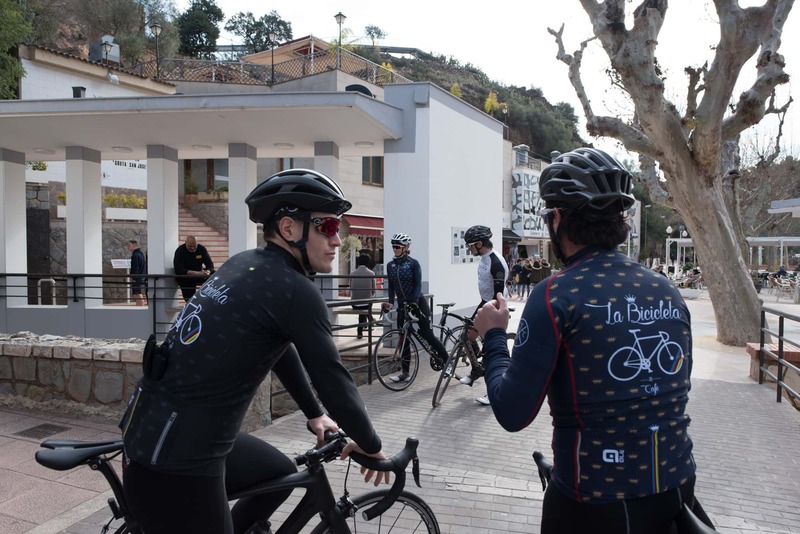 The next 4 kilometres downhill will help you to get your strength back, which you will need as once you go past Eslida you will ascend again along the Puerto de Aín mountain pass. 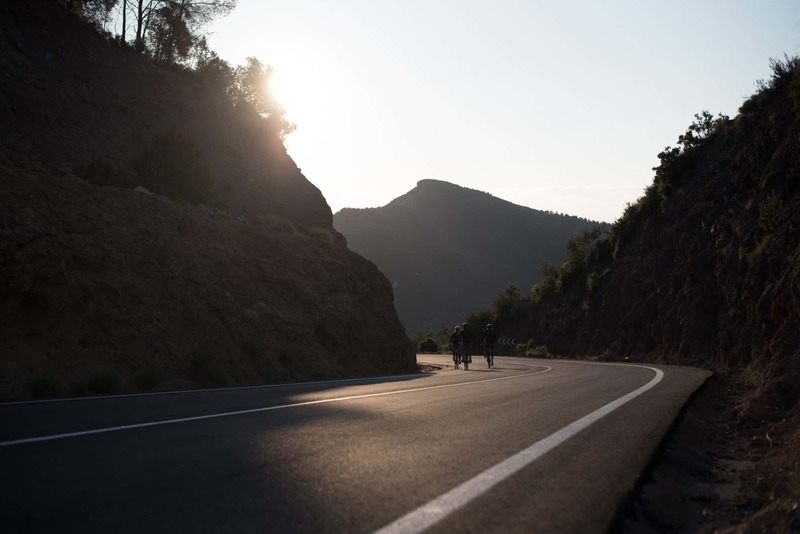 You will be able to enjoy some downhill kilometres in the heart of the Espadán mountain range all the way until you get to Tales. The cork tree forests line the route while you breathe in the pure mountain air. Encircling the northern part of the Natural Park, you will pass through Ayódar and from there, the hardest part of the route begins: Torralba del Pinar. 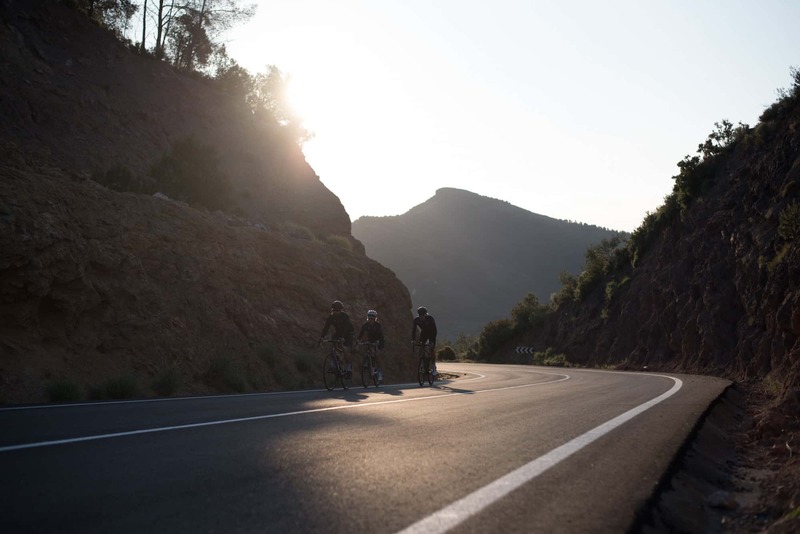 This is a 16 km uphill stretch with gradients of up to 15%. 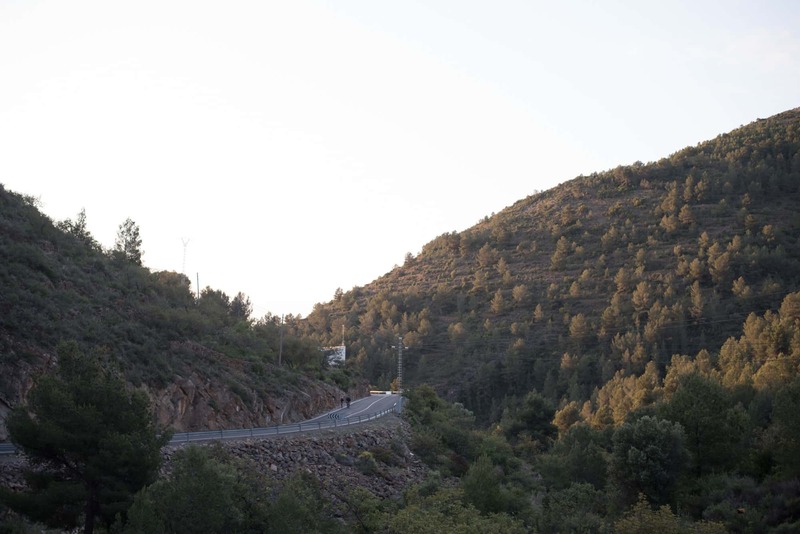 When you reach the top, you will have completed half of the route and from now, until you are back at La Vall d’Uixó, you will only have to face rugged and irregular roads. 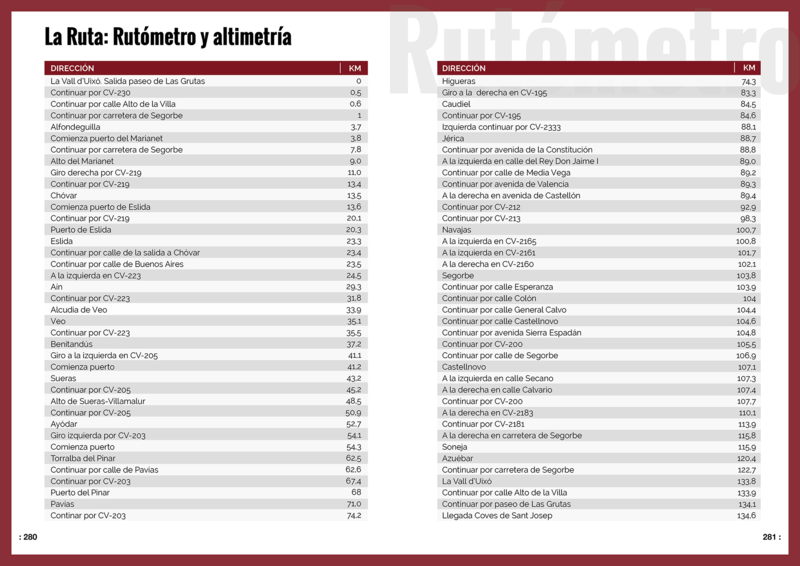 An incline which may cause you some complications it the which takes you from the Espadán mountain range to Caudiel. 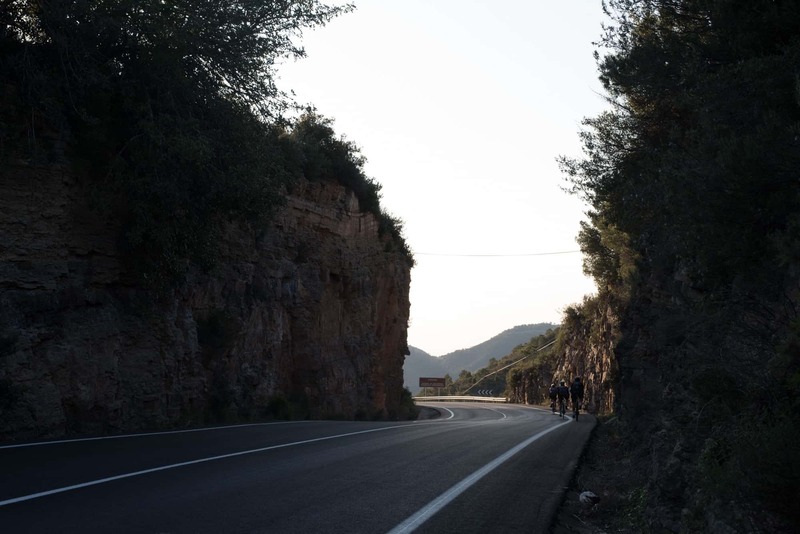 10 km later, you will pass by the El Regajo reservoir, a natural landscape which will provide you with enough strength to return to the road from Segorbe to La Vall d’Uixó, once again passing though the Puerto del Marianet mountain pass. - Castillo de Eslida (Km 23.3): a medieval castle which dates back to the Muslim period. This reigns over the town as it is situated on the peak, from which the whole town can be observed. A large part of it is currently in ruins, but it is known that this was a relevant place due to the town's importance. - Aín (Km 29.1): a small municipality close to the Espadán peak, surrounded by elevated and rugged mountains. The castle, despite the fact that it is practically in ruins, is still standing in parts and has outstanding panoramic views of the mountains. Throughout the whole historic centre you will find countless fountains. 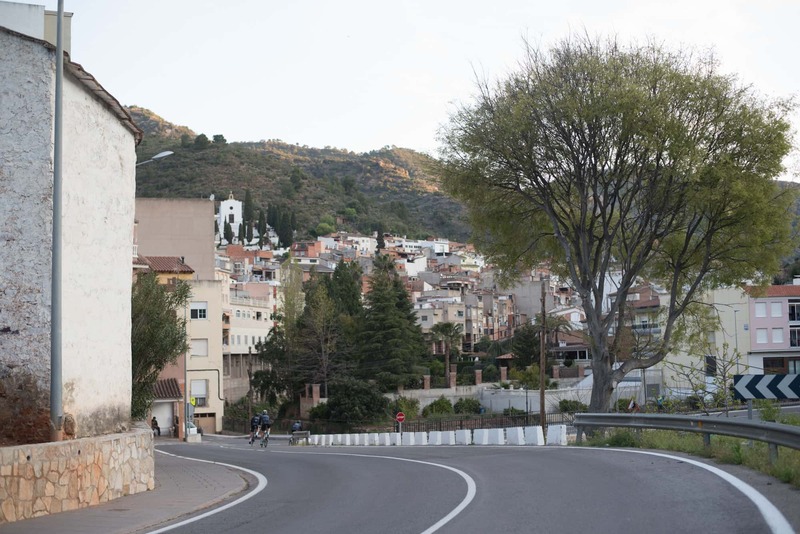 - Ayódar (Km 52.1): a municipality nestled in the Espadán mountain range which acts a line of separation between the mountains and the River Mijares. It was not repopulated until 1611, this was led by the Barons and the palace dates back to that time period. - Torralba del Pinar (Km 62.5): this town is very close to Teruel and is located very close to the northern slope of the Espadán mountain range, allowing it to enjoy the breath-taking scenery of the Natural Park. It is a municipality with less than 70 inhabitants where you can relax and enjoy the natural surroundings. - Parish church – Caudiel (Km 84.2): founded in 1616 by Augustinian friars. For many years this was used as a school, hospital and town hall, although it as always kept its religious use. - San Cristóbal chapel - Castellnovo (Km 107.4): a Catholic chapel which dates back to the 15th century and has a similar composition and style to that of the San Antonio de Pádua chapel. On 3rd May each year it hosts the Santa Cruz festivity and all the neighbouring citizens come and spend the day there. What is most impressive about this chapel is its views, its breath-taking views of the nature and nearby towns. 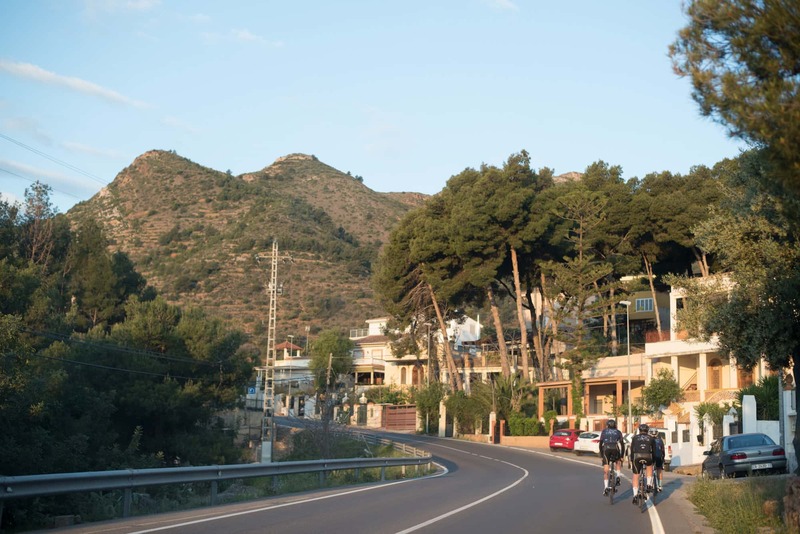 - Azuébar (Km 120.4): located in the south-east of the Espadán mountain range, nestled in the hillside. Three sights of interest that you can visit in Azuébar are: the castle, which is still standing; the parish church which dates back to the 17th century and the mercury ovens which show the town's mining traditions. - Restaurante el Guano (Avenida Jaume I, 9): home-made food which is typical of the area at a very affordable price. - Bocaburguer (Av. Suroeste 45): recommended for its lunches and home-made food. - Balneario de Villavieja (Plaza la villa 5, La Vilavella): a welcoming health resort some 5Km from La Vall d’Uixó. - Hotel Belcaire (Avenida Europa s/n): in the centre of La Vall d’Uixó. A basic hotel with affordable prices.